In 1902 the Times-Picayune newspaper ran this large ad on the front page of their 28 February issue. 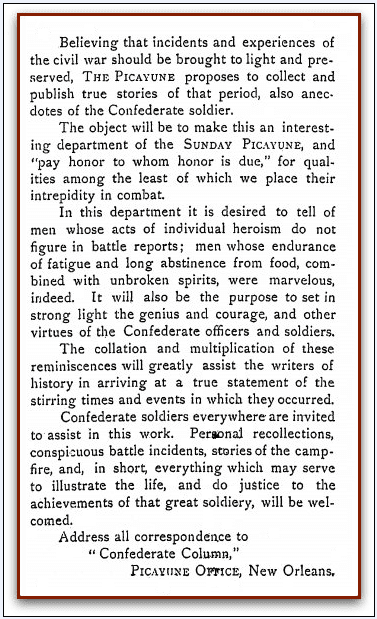 to tell of men whose acts of individual heroism do not figure in battle reports…[and] to set in strong light the genius and courage, and other virtues of the Confederate officers and soldiers. Confederate soldiers everywhere are invited to assist in this work. Personal recollections, conspicuous battle incidents, stories of the campfire, and, in short, everything which may serve to illustrate the life, and do justice to the achievements of that great soldiery, will be welcomed. 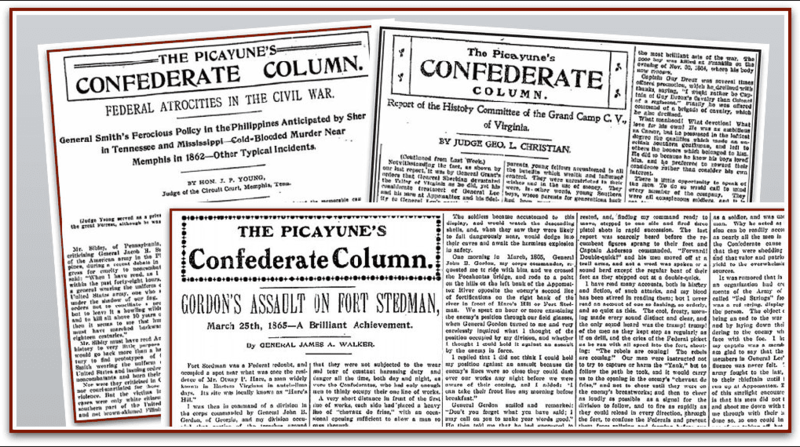 The Times-Picayune’s Confederate Column regularly featured Civil War stories like this one about the Battle of Fort Stedman, when Confederate Major General John Brown Gordon (1832-1904) attacked the Union fort on 25 March 1865 in a desperate attempt to break the Siege of Petersburg. Led by Gordon, the Confederate attack was initially successful. 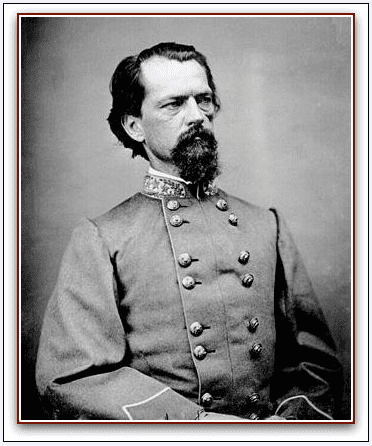 Photo: Confederate Major General John B. Gordon. Source: Wikipedia. 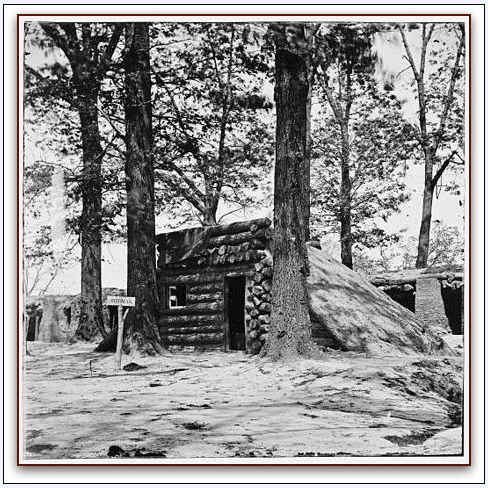 But then Union troops pushed the Confederate attackers back and recaptured Fort Stedman. Genealogists researching their Southern roots will want to check out this series that appeared in the Times-Picayune over 100 years ago.